Pristine 4 Bedroom 3 Bath Ranch in move-in condition. 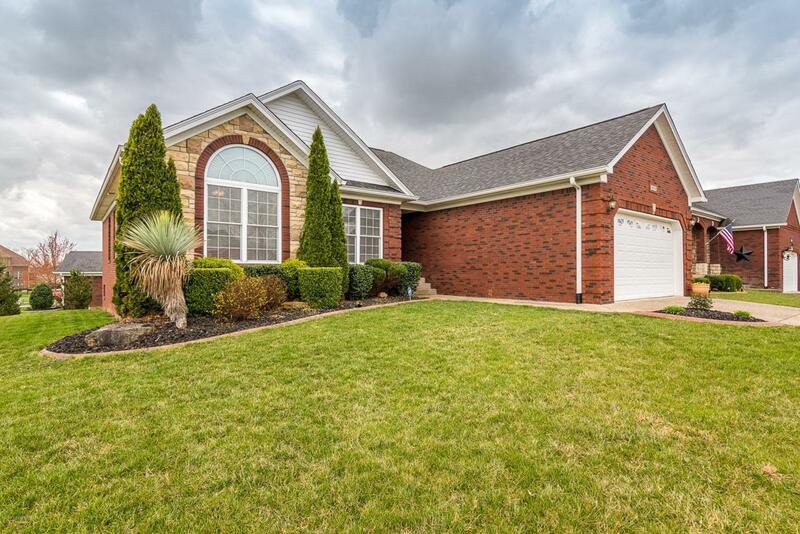 Spacious, open floor plan with huge eat-in Kitchen with Maple Cabinets, granite counter tops, large island with breakfast bar, and large eating area, and sitting area with French doors leading to a large deck, and hardwood floors. The vaulted Great room has a gas fireplace, hardwood floors, and is open to the Kitchen. Large, beautiful master bedroom suite with jetted tub, separate walk-in shower, double vanities, and large closet. 2 other main floor bedrooms, plus another full bath. The finished daylight basement features another Great room, large 4th bedroom, the 3rd full bath, plus an office. This home features a high efficiency furnace, and low e rating on the windows. This is a great home. Don't miss out.